Many admins would like to create reports and list views that filter automatically for the current user or a manager’s direct reports. Without knowing another method, I have seen users create one report per user, per manager, etc. to satisfy this business requirement. The good news is a fix is pretty simple using formula fields. 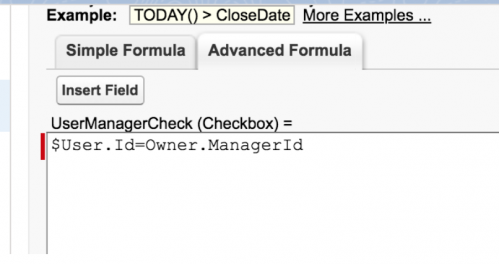 The basic setup is to create a formula checkbox field that evaluates to true when the current user ($User.ID) matches a user lookup field on a record. This can be applied in a few ways. Ex: You want to create a report that returns all opportunities under one department, not necessarily just direct reports. With these approaches, you should be able to create all the fields, on any object, that you need to filter list views and reports to the current user. 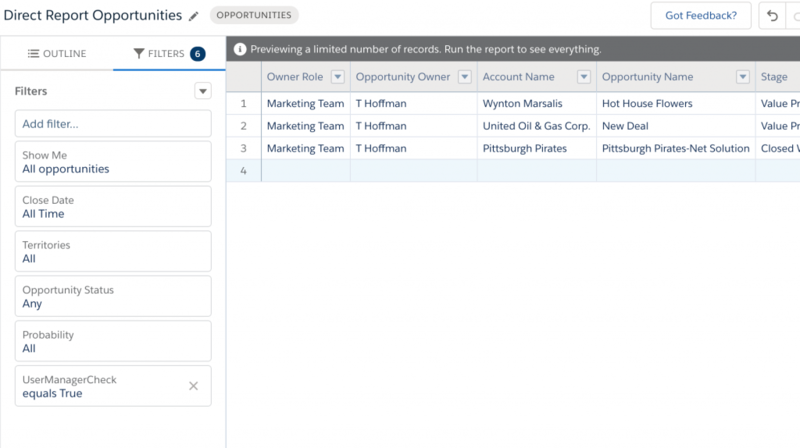 Create a list view that filters for this field being true and no matter which user clicks the list view, they will only see the results belonging to their direct reports (if any). Do the same when creating a report, adding a filter for User Manager Check = True. When a user runs the report, they will only see the results belonging to their direct reports (if any) – no need to create one report per user/manager/team ever again!